Just me today. 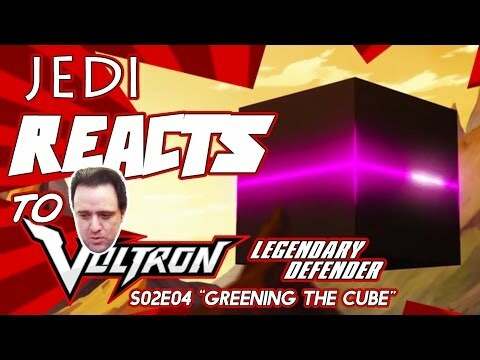 Here’s my reaction to Season 2, Episode 4 of Voltron: Legendary Defender: “Greening the Cube”. Which, oddly enough, had nothing to do with skateboarding OR Christian Slater. Subscribers might be aware that the movie night footage for Rogue One Movie Night Adventure was largely lost. Making a concerted effort next week to get everything in line for Logan Movie Night Adventure. So stay tuned, and subscribe if you haven’t. (Uh, be sure not to hit that button too many times, or you’ll unsubscribe yourself. I’ve seen it happen.) You can follow along as it happens on http://ift.tt/2aTslqQ.